0% fragrance and colouring. 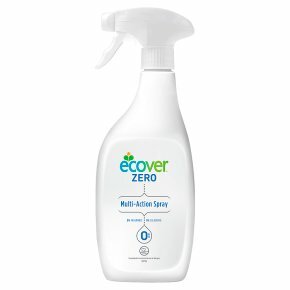 Formulated to minimise the risk of allergies. Cruelty-Free International. Usage Instructions: For use on rinsable, treated surfaces: kitchen surfaces, chairs and other hard surfaces. If in doubt, test on inconspicuous area first. Spray directly onto surface and wipe with a wet sponge or cloth. No need to rinse. For optimal streak free result, dry with a cloth. CAUTION: Keep out of reach of children.<br>The suitability of this product for people with serious skin conditions cannot be guaranteed.<br>If you suffer with unusually sensitive skin, please contact your doctor for advice.